I earned cash because I went shopping on Sephora! Hello Sunshine! First working weekend of January, here we go! I’m currently in a Starbucks café, enjoying my favorite chicken fajita roll, and two (I availed of a BOGO promo) tall iced caramel macchiatos. hehehe To me, that’s the secret to a good deal! Get work crossed off my list while I get fueled up by a BOGO deal! Not that I’m some shopaholic or anything, I’m not. But because I have an upcoming trip this January (Siquijor-baby!) I have a few things I need to buy. Good thing I’m good at finding good deals online! I’m only shopping online because I’m so busy. The trip also compressed all my deliverables to a tighter schedule so yeah, I can only shop online… which coincidentally isn’t a bad thing because of Shopback.ph! I tried Shopback.ph last year when I bought some gifts to self from Sephora.ph and weee, I was so satisfied! Basically it’s like a shopping rewards site that allows you to get cash rebates when you shop from your favorite online stores. Oh, when I say favorite, I do mean favorite. They have my online retailer must-haves: Samsung, Sephora, Lazada, Agoda, Booking, and many more! 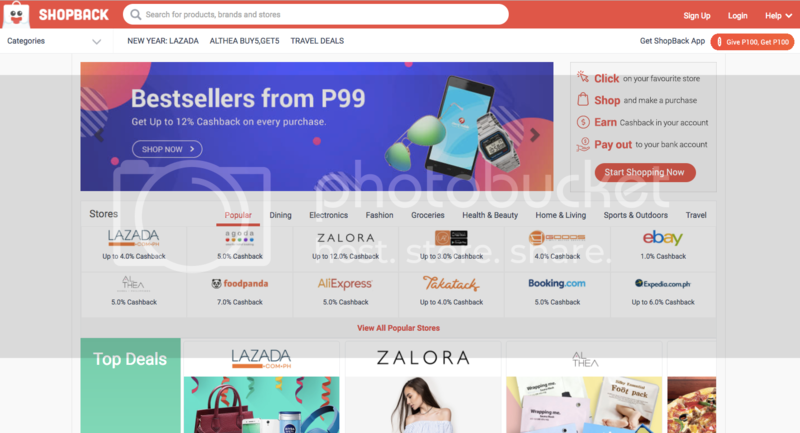 They even have Zalora promo codes and upto 12% cashback offers for online shoppers! Shopback is basically telling me I can get cash rebates from shopping from the usual sites I shop in. It sounds too good to be true, and they say when it sounds to good to be true, it probably is! Bur Shopback is different. When I tried it out, it didn’t change my shopping habits. Like when I said I’d treat mahself with some Sephora goodies, all I had to do was go to Shopback, click Shop Now from the Sephora tab, and shop as usual. Then after a while, I got a notification that my cash rebates are in my account already! So legit!!! You have to try it for yourself. Sign up using my link to get P100. It’s the new year anyway, and this is one resolution-shopforthebetter cause I can definitely keep throughout the year! Now for the fun part, I’d share with you the items I got from Sephora.ph through Shopback!!! It’s basically the secret to my HNY look! Well, I’m hoping I can keep at it so my 2017 will continue to be all about bright wide-opened eyes and beautifully chiseled cheeks!!! Don’t forget to sign up using my link to get P100 and perhaps share with me your Shopback experience too!